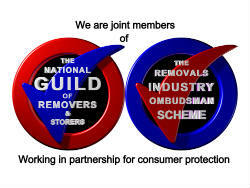 Safe and secure storage in a containerised environment is what Pers Removals offer you. No matter the nature of your belongings we offer competitive prices and flexible storage timescales to meet your needs. 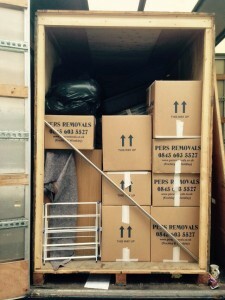 Here at Pers Removals we offer an unrivalled container storage service. You can trust us to store your valuables in a safe and secure environment. 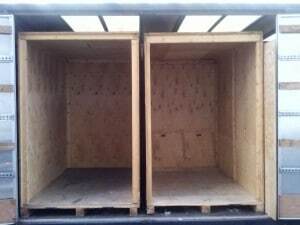 Our containerised storage affords tailored solutions. Should you require multiple containers for storage we can just as easily accommodate this, as we can a single containment unit. This is especially useful for those that are unsure of their storage needs, and believe they may increase over time. We have our own vehicles for transportation. Whether you own a priceless antique grandfather clock, furniture, or a wealth of artwork and sculpture, we can easily and securely meet your needs. We pride ourselves in providing a customer-centric and considerate service. Operating a secure, temperature-controlled warehouse, we have the facilities to house most any items that you wish. Our containers are made entirely of wood. This means they are free of humidity, and have an environment that prevents condensation. Your belongings will be kept in pristine condition. After taking a comprehensive inventory each container is sealed, ensuring the security of your possessions. Feel free to visit our storage facility at any time. 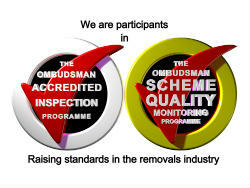 We allow you access to our depot to view or retrieve your possessions. We keep your belongings secure, only affording you access to the container. We can even bring the container to you should you be unable to get to our depot. To find out more information that outlines our superlative North London container storage service, contact us today.